Also serving communities of South Boston. The average cost of memory care in Danville is $3,665 per month. This is lower than the national median of $4,650. Caring.com has helped thousands of families find high-quality senior care. To speak with one of our Family Advisors about memory care options and costs in Danville, call (855) 863-8283. Danville, Virginia, population 41,130 according to the 2017 U.S. Census estimate, is located in the south center of the state on the border with North Carolina. The percentage of seniors 65 and older in Danville is 19.7 compared to a national average of 15.6 and there are two memory care facilities for seniors with Alzheimer’s and dementia. The seniors served here and at other memory care facilities in the area surrounding Danville are among the 140,000 in Virginia who live with these conditions. 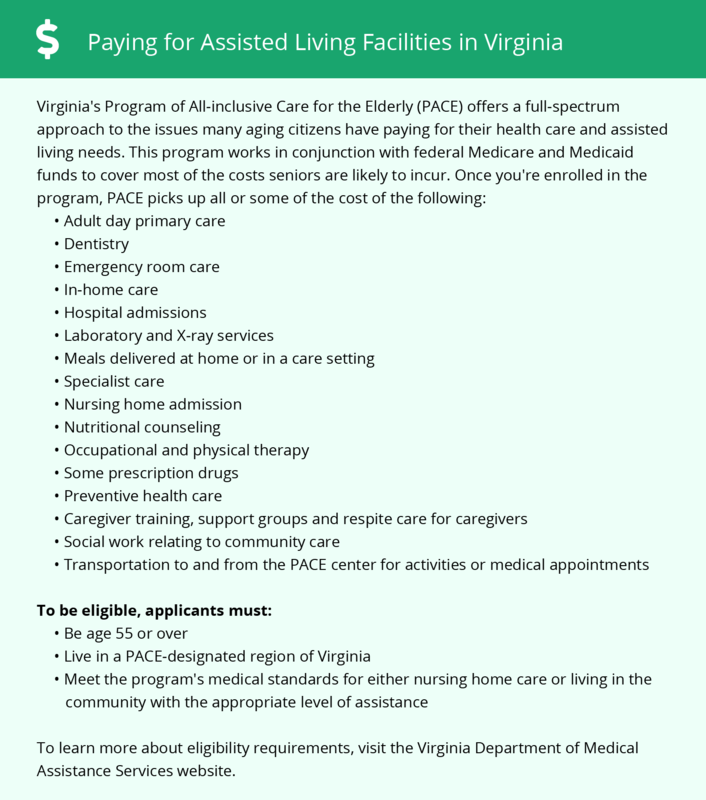 The Virginia Department of Social Services, Division of Licensing – Adult Programs handles licensing of these facilities, which the state government refers to as Assisted Living Facilities (ALFs) and Special Care Units (SCUs). Crime in Danville is higher on the property crime side than violent crime. Violent crime is scored 30.0 compared to a national average of 31.1, but property crime reaches 59.0 compared to a 38.1 national average. Secure memory care facilities should provide an extra layer of protection for seniors who live there. The cost of living in Danville is much better than many areas with a score of 76.1 compared to 100, the national average value. Housing is especially affordable at 36 and everything but health care and utilities is below 100. Seniors can expect costs such as groceries and transportation to be more affordable here. Danville has few facilities from which to choose in the event of a medical emergency or illness, with the nearest major hospital specializing in brain health and dementia care located in Roanoke. Danville only gets about five inches of snow per year and a fairly average 44 inches of rain. With 221 sunny days compared to the national average of 205, it's a place where memory care seniors can have more managed outdoor activity time. The summer reaches 89 degrees Fahrenheit in July, and the January low is 29 degrees Fahrenheit. Memory Care costs in Danville start around $3,665 per month on average, while the nationwide average cost of memory care is $4,778 per month. It’s important to note that memory care rates in Danville and the surrounding suburbs can vary widely based on factors such as location, the level of care needed, apartment size and the types of amenities offered at each community. Learn more about these programs, plus who’s eligible, on our Memory Care in Virginia page. For more information about different ways to finance memory care, visit our Memory Care in Virginia page. Danville and the surrounding area are home to numerous government agencies and non-profit organizations offering help for seniors searching for or currently residing in an assisted living community. These organizations can also provide assistance in a number of other eldercare services such as geriatric care management, elder law advice, estate planning, finding home care and health and wellness programs. To see a list of free memory care resources in Danville, please visit our Assisted Living in Virginia page. Danville-area assisted living communities must adhere to the comprehensive set of state laws and regulations that all assisted living communities in Virginia are required to follow. Visit our Memory Care in Virginia page for more information about these laws.